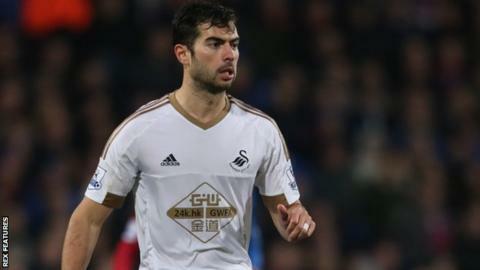 Swansea City defender Jordi Amat has signed a new one-year contract extension, keeping him at the south Wales club until 2019. The Spaniard has made 48 appearances since signing from Espanyol for £2.5m in June 2013. Swansea go into Tuesday's Premier League game at West Bromwich Albion four points above relegation after recent wins over Watford and Everton. "This is my home. I am happy here and my family is too," said Amat, 23. "It's great news and I'm so happy to sign a new extension. "I've been here for two and a half years and I'm very happy to be here for another three years."